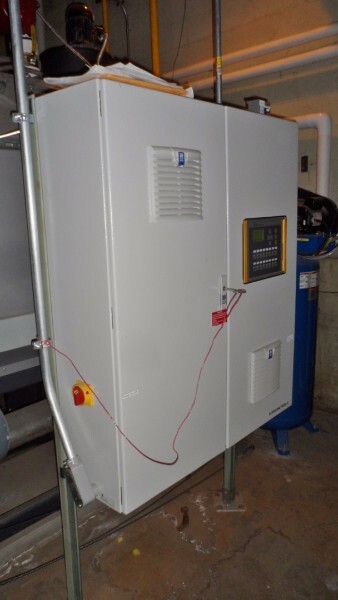 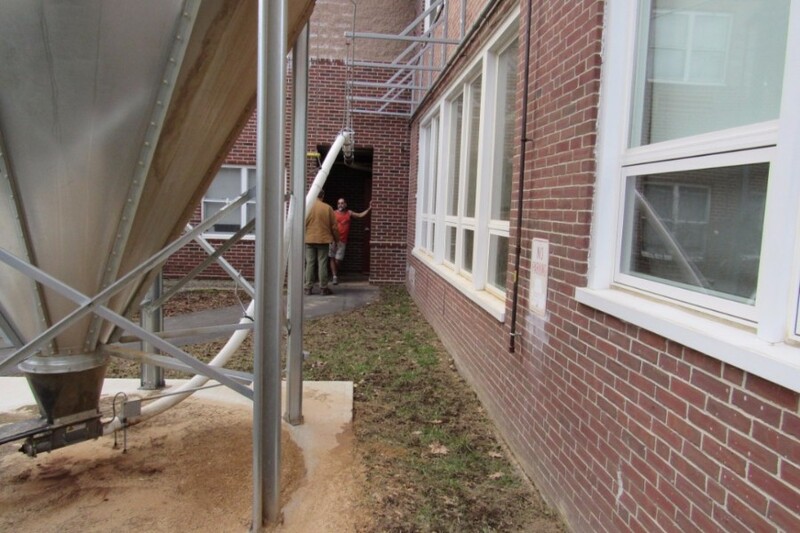 Part of a district-wide energy saving project done by Johnson Controls. 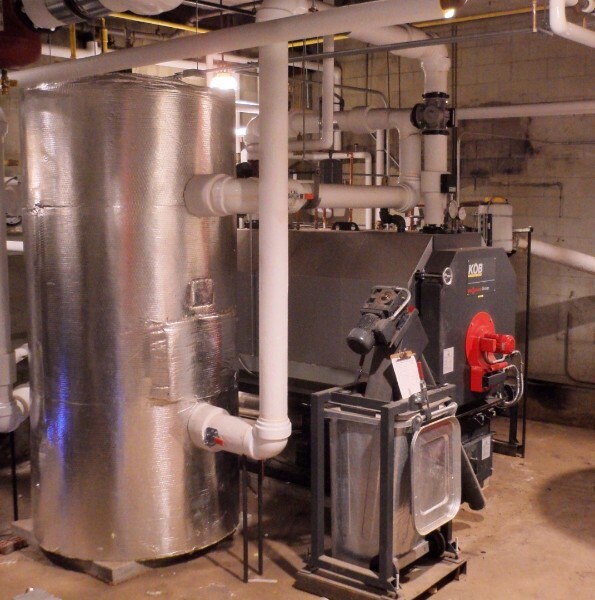 Adding a Viessmann pellet boiler would offset nearly 18,000 gallons of oil per year, resulting in significant savings. 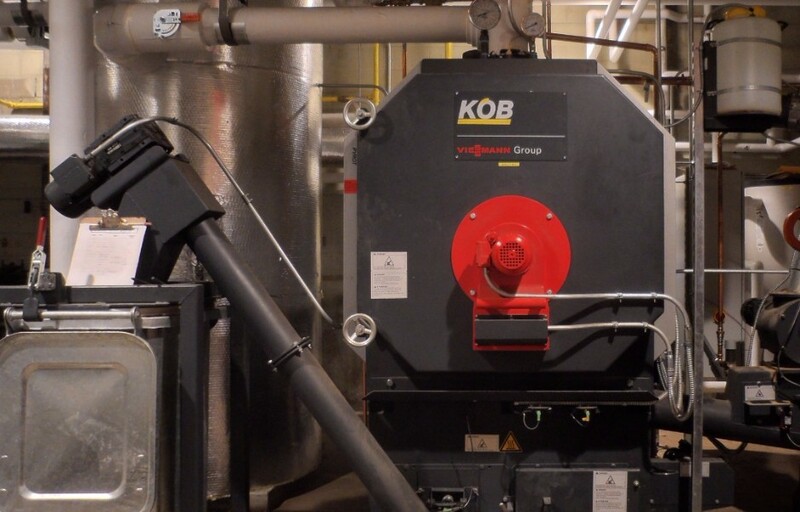 This boiler system generates approximately 540 NH T-RECs per year. 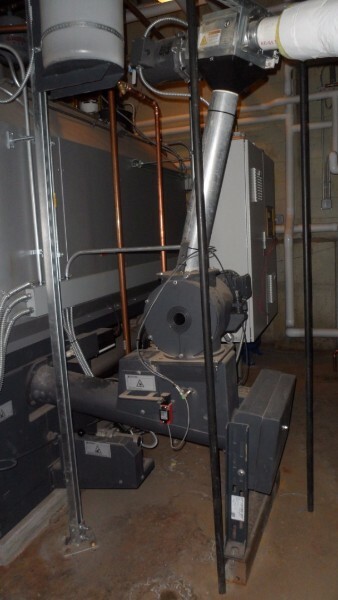 A flexible auger feeds pellets to boiler. 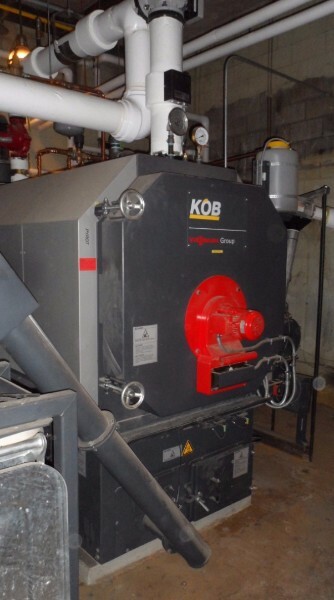 Flex auger connects to boiler feed auger. 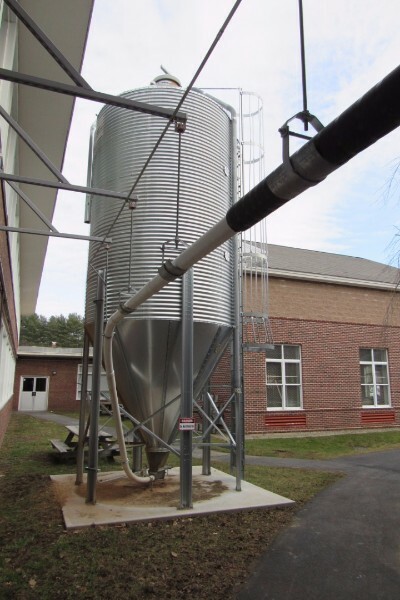 Buffer tank and ash extraction bin. 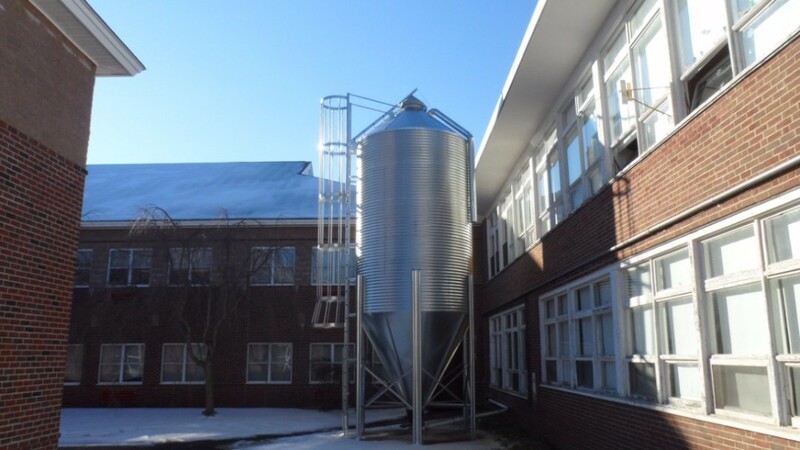 Pellet silo sits in courtyard. 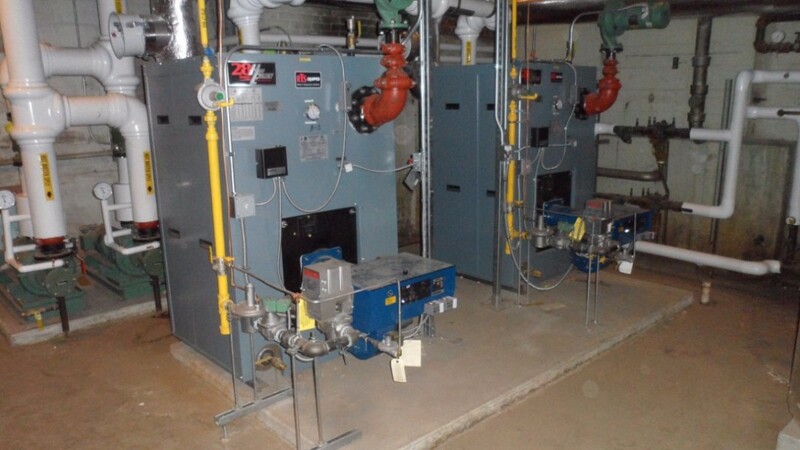 Existing oil boilers were kept. 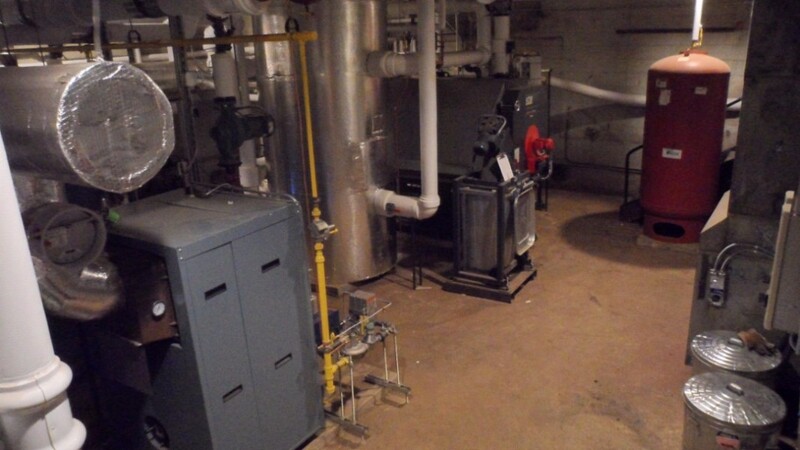 Everything fit in the school's boiler room.